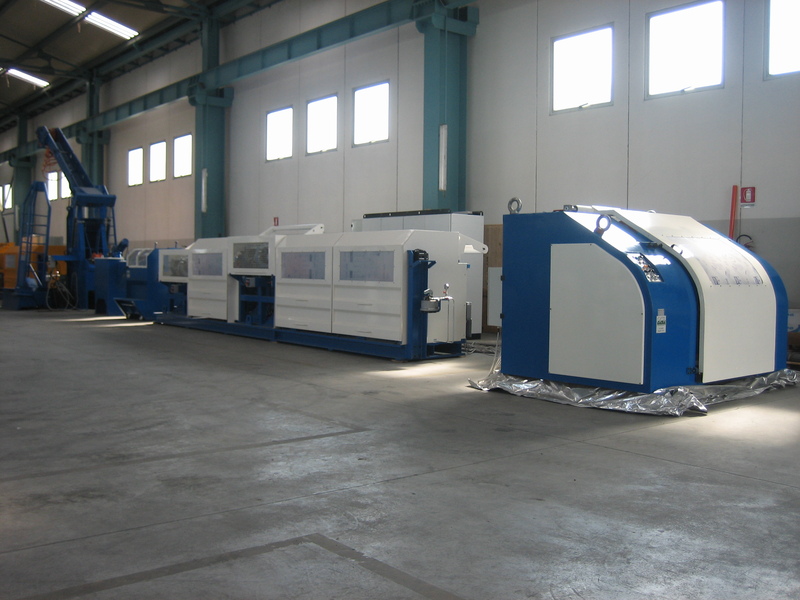 The GCR Eurodraw cold rolling lines have been a worldwide best seller for the past 15 years. Our double and triple block cold rolling lines have been adopted instantly by all the major producers of cold rolled products due to the unmatched performances and due the simplicity of the machine in terms of usage and maintenance. 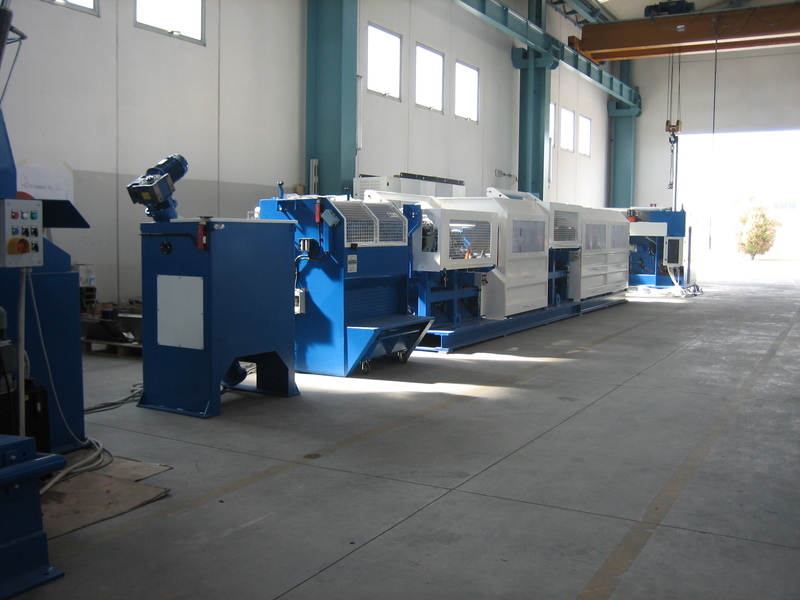 The latest models of our machines are now equipped with noise abatement covers making them not only the highest performing machines but also the machines with the lowest level of noise. Our cold rolling machines can be combined with either an horizontal spooler or a double vertical spooler with semi automatic spool change over system or even with a bar straightening and cutting system. The particular design of these lines allow the installation of 4 rolling cassettes at the same time. While only two cassettes can be used simultaneously, with this system it is possible to switch from one diameter to the other in a matter of minutes without the need to replace the rolling cassette. It is only sufficient to open the rolls of the cassette that will not be used and close the rolls of the one to be put into service. The same machines can be fitted with die-boxes. 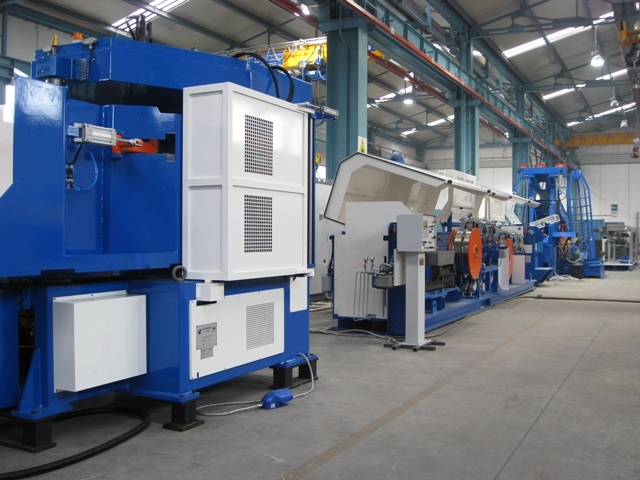 The line is equipped with a sturdy vertical payoff, especially designed to be able to payoff at very high speed large diameter wire rods up to 16 mm. The payoff speed and the payoff itself are essential part of the line as it would not be possible to achieve the performances without being able to feed the line at the correct speed. 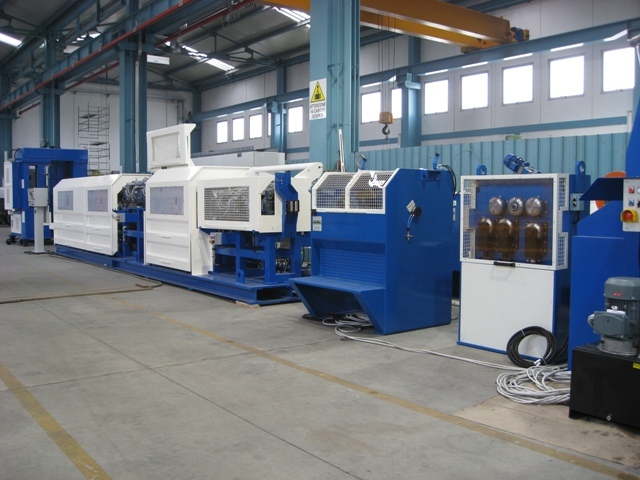 CLR 760/1 - single block cold rolling line with two rolling cassettes in sequence. Can be combined either with BOS 1250 horizontal spooler or with BVD 1250 double vertical spooler or with a bar straightening and cutting unit. Wire diameter range from 16 to 5.50 mm. CLR 760/2 - twin block cold rolling line with two independent pulling blocks. Can be equipped with up to 4 rolling cassettes and can be combined either with BOS 1250 horizontal spooler or with BVD 1250 double vertical spooler or with a bar straightening and cutting unit. Wire diameter range from 16 to 4.00mm. CLR 760/560/1 - single double deck block cold rolling line with fixed reduction between blocks. Can be equipped with two rolling cassettes and can be combined with either with BOS 1250 horizontal spooler or with BVD 1250 double vertical spooler. Wire diameter range from 12.0 to 4.00 mm. 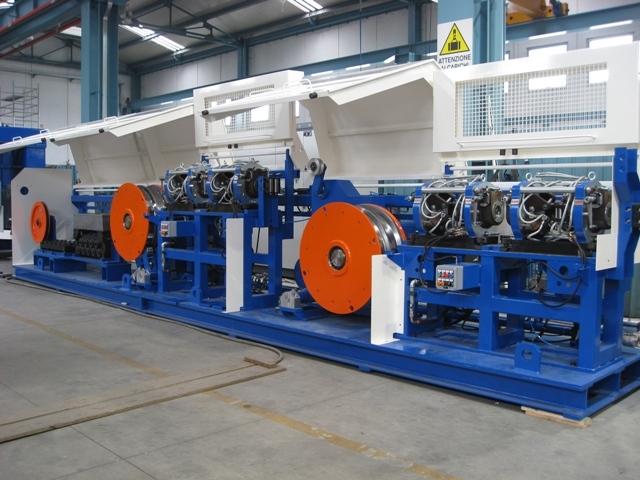 CLR 760/3 - triple block cold rolling line with three independent pulling blocks. Can be equipped with up to 4 rolling cassettes and can be combined either with BOS 1250 horizontal spooler or with BVD 1250 double vertical spooler or with a bar straightening and cutting unit. Wire diameter range from 16 to 3.20 mm. CLR 900/3 - heavy duty triple block cold rolling line with three independent pulling blocks. Can be equipped with up to 4 rolling cassettes and can be combined either with BOS 1250 horizontal spooler or with BVD 1250 double vertical spooler or with a bar straightening and cutting unit. Wire diameter range from 18 to 4.00 mm.